altitude above Lech in Oberlech - the sun deck of the Arlberg. Landhaus Bischof is situated on 1576 meters altitude above Lech in Oberlech, the only car-free location of the Arlberg which is deservedly regarded as the sun deck of the Arlberg. 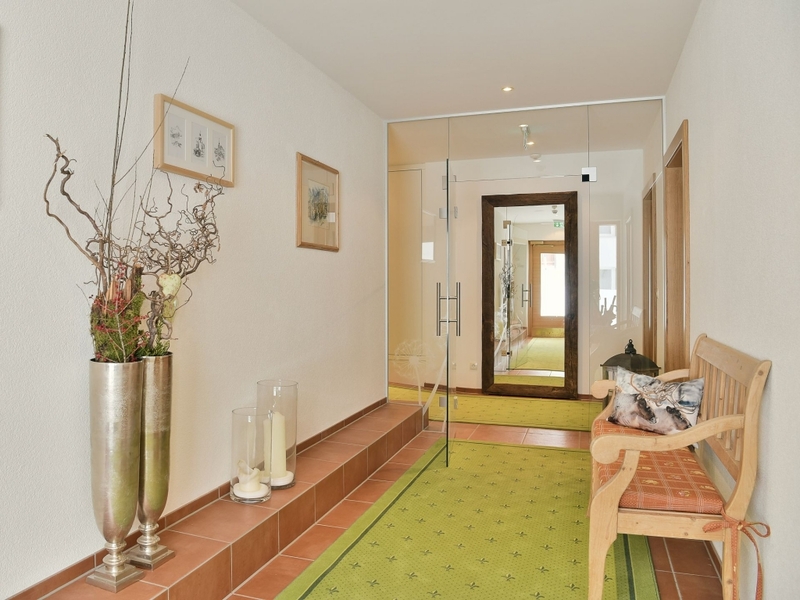 Nevertheless, you can easily reach us by car all year round because the road to Landhaus Bischof leads you directly into our underground garage where our guests can park their vehicle. If you spend your vacation with us, you will live in the middle of the ski area and enjoy “ski-in and ski-out”. In other words: The ski slope of the Schlosskopflifts (Exits 210 and 212) leads directly to Landhaus Bischof. 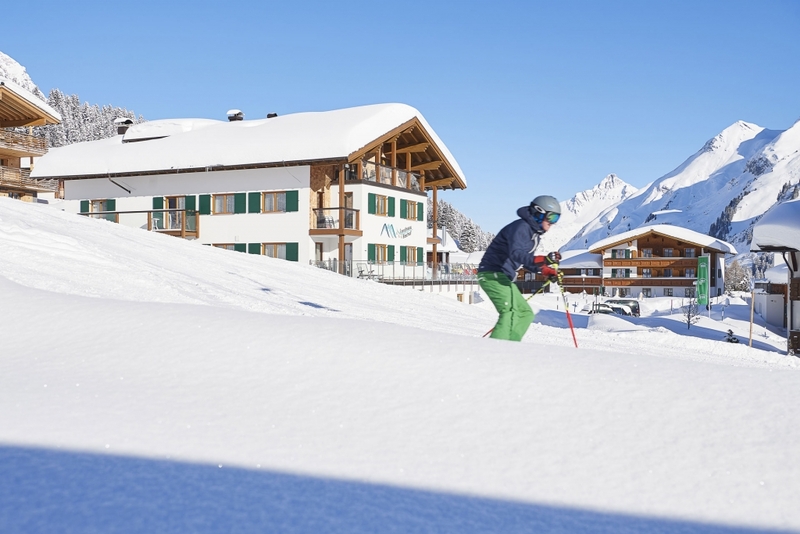 From our house you can walk on perfectly groomed snow trails to the restaurants of Oberlech and Lech. Those, who are tired after a long day outdoors, do not need to climb stairs – we have an elevator since 2017. The Landhaus Bischof was built in 1991 by Maria and Roman Bischof. Later, daughter Barbara took over the house and carries on the tradition of her parents. 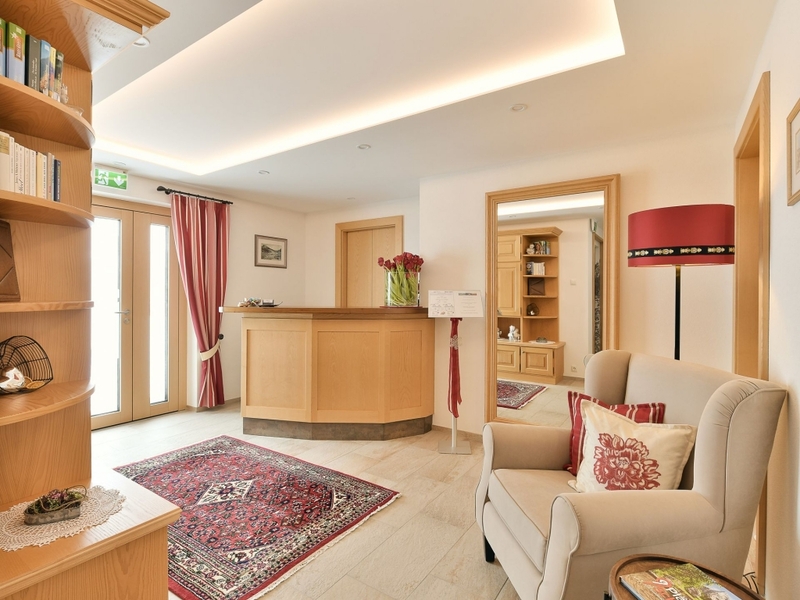 The house has continuously been updated – always very carefully to attend to the traditions of the region and to connect them with the realities of our time. Underground parking garage. 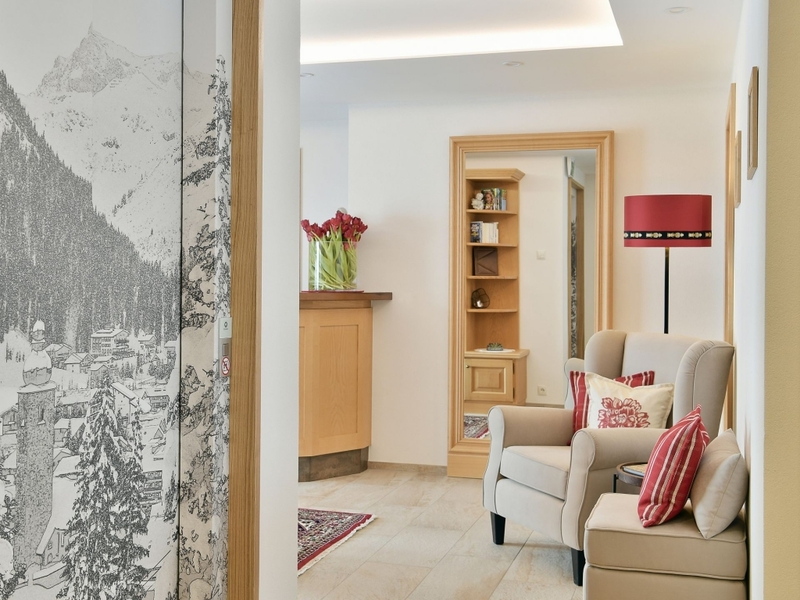 In a mountain village like Lech this has a very practical significance: You won’t have to shovel the snow off your car early in the morning and you can spend your precious holiday time in a beautiful and relaxing way. The car remains cool in the summer and is also protected against bad weather. One parking space per apartment/room is available.